This modern apartment is located in Berlin'S quiet southern Zehlendorf district and comes complete with a fully-equipped kitchen. 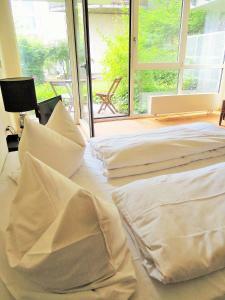 Berlin-Apartment mit Gartenterrasse includes a quiet garden as well as a modern living room. There is a full kitchen with a dishwasher and a microwave. 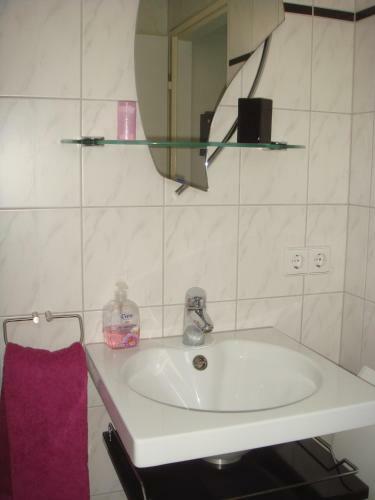 Featuring a shower, the private bathroom also comes with towels. 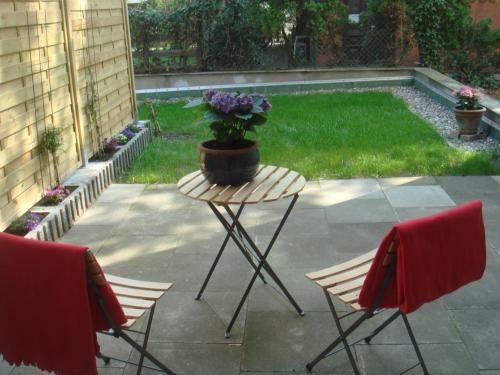 Berlin-Apartment mit Gartenterrasse offers free parking and is only a 10-minute walk from the S-Bahn Station Botanischer Garten. Holiday apartment 256546 Our apartment is 33 m² in size, has 1 bedroom and living room, 1 kitchen, 1 bathroom and balcony and is surrounded by a well kept garden, totally quiet and very cozy. The second large 000 m² garden can be used with. Holiday apartment 268716 2.5 room apartment in the attic of a small old Berlin apartment building. Holiday apartment 276847 This is how we would describe our apartment in a few words:Inside: Outside: Our apartment Dahlie Lichter is located in the central and beautiful Schöneberg area.It’s a great place to discover Berlin and a comfortable place to come home to. 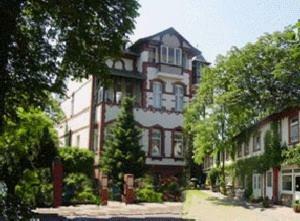 ApartHotel Landhaus Lichterfelde price per day from €79 Dating back to 1896, this historical building now features cosy apartments and a private restaurant. 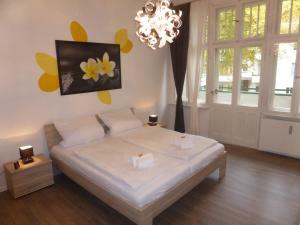 It is located in the district of Lichterfelde-West in the south-west of Berlin. 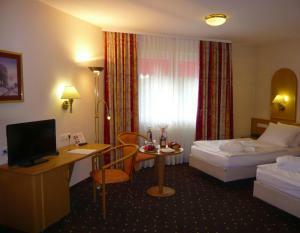 The ApartHotel Landhaus Lichterfelde offers comfortable, well-equipped apartments, furnished in a country style. Those on the ground floor feature their own garden terrace. In the evenings you can relax in the TV room, which shows sporting events on a big screen, surf the internet for free or enjoy a drink at the bar. 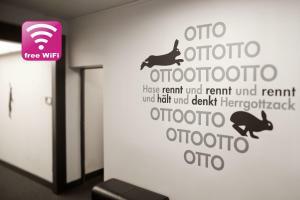 Apartments Dahlie & Nelke price per day from €69 Apartments Dahlie & Nelke are situated in Berlin, a 15-minute walk from the Botanical Gardens. In addition, Apartments Dahlie & Nelke each come equipped with a flat-screen TV, DVD player and a private bathroom with a hairdryer. There is also a full kitchen with a dishwasher and a refrigerator. 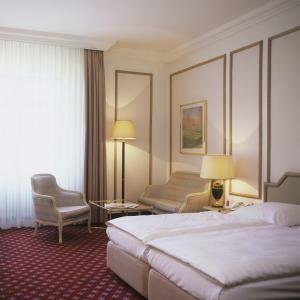 A selection of restaurants can be found within a 5-minute walking distance of the accommodation. Potsdamer Platz can be reached in 15-minutes with public transport. Restaurant Jungbluth-, Berlin Guest reviews: 9,6/10 ~ 2,2 km from Berlin-Apartment mit Gartenterrasse Address: Lepsius Street 63, 12163, Berlin. Cuisine: Delicatessen. Restaurant Bieberbau, Berlin Guest reviews: 9,4/10 ~ 4,6 km from Berlin-Apartment mit Gartenterrasse Address: Durlacher Str. 15, 10715, Berlin. Cuisine: German.